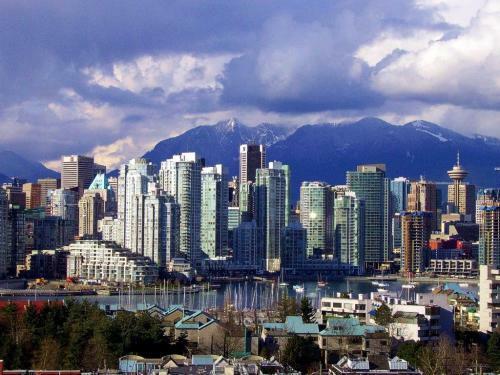 The 2019 Symposium will be held in Vancouver, BC Canada. Similar to Iceland, it is one of the highest demand meeting locations in the world. The city is just beautiful and the hotel is located in downtown providing immediate access to shopping, night life and culture. Just a couple steps away from the hotel the acclaimed Stanley Park awaits outdoor enthusiasts; bikers, runners, hikers, beach-goers and shoppers. Whale watching (orcas) is popular in the summer in Vancouver, and Victoria island is also a day trip away or a fun 30 minute helicopter ride if you’d like to treat yourself. The host hotel is situated downtown in the heart of the city. Conveniently located by the beautiful Stanley Park and easy access to the Gastown district, a shopping area with an array of arts and entertainment. This will host up to 100 guests for a classy multi-level cabin for dinner, drinks and tour of the harbor. You will be able to easily walk from the hotel, down to the pier and board the yacht. Book your reservations early as it will be limited to the first 100 guests; cost is $90.00 per person. The dinner will feature the Captain's Favorite Feast with several house crafted salads, two main course selections, proper accompaniments and dessert. Everything is hand crafted on the yacht. We will be provided with an upper deck featuring a bar and lounge area. A complimentary drink is provided per person. 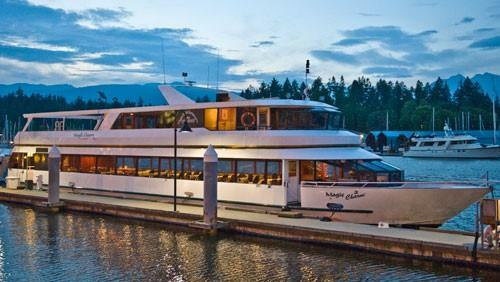 Enjoy beautiful scenic views on this sunset cruise. Help us welcome Drs. Tim Knott and Richard Dubielzig, as our esteemed State of the Art Speakers. Their titles and/or topics are listed below, along with brief biographical information. We will continue to build this information on the website as we receive it. 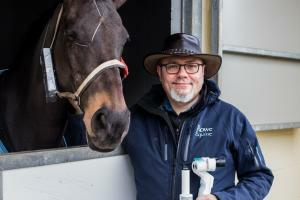 Title: "Imaging the Equine Eye, A Practical Approach"
Tim will explain how he uses smart phones and simple lens attachments, as well as conventional DSLR cameras, to image ocular lesions in the equine patient. Make sure your smart phone is charged up as Tim will be bringing training eyes developed for training ophthalmoscopy and ocular photography for all delegates to use while he talks you through, step by step, how to image the eye. We will provice macro lenses for you to use - you just need to bring your phone with an appropriate app installed (See http://www.theeyephone.com/what-app.html for details). Bio: Tim graduated from the University of Bristol in the beautiful south west of England in 1995. Tim always wanted to be James Herriot but caught the ophthalmology bug in his first year at vet School. He tried balancing the demands of general mixed practice and his growing interest for ophthalmology for the first 5 years of his career before finally realising that cleaning cow manure from under his finger nails before intra-ocular surgery was not in his or his patient’s best interests. Tim set up a dedicated private ophthalmic referral practice, Rowe Referrals eye clinic, in 2000 followed by the equine ophthalmology consultancy service, the Equine Eye Clinic, in 2003. Early on in his career he realised that the biggest impact we can make on the health of our patients is by teaching. To this end he is proud to have served on the board of the British Association of Veterinary Ophthalmologists for over 10 years where is currently the senior vice Chairman, he both examined and organised the Royal College of Veterinary Surgeons Certificate in ophthalmology for almost 10 years and is a member of the board of the International Equine Ophthalmology Consortium - the IEOC. Tim also organises and helps to provide the British Equine Veterinary Association post graduate equine ophthalmology teaching for the UK. His ophthalmology mentor at Bristol was Professor Sheila Crispin and it was not long after Sheila’s retirement that, with great pleasure, Tim returned to Bristol University to take over the clinical Ophthalmology teaching from 2008 to 2017. Always trying to make ophthalmology more accessible to the general practitioner the arrival of the iPhone 4 in 2010 allowed unprecedented accessibility to imaging of the equine eye. Since then Tim has encouraged the use of smart phones through his website (www.theeyephone.com) and undergraduate and post graduate teaching both in the UK and overseas. Title: "Equine Ocular Pathology - The State of the Art"
Bio: Richard Dubielzig graduated from Veterinary School in the class of 1972 at the University of Minnesota. After two years of small animal practice in New York state he began a pathology residency at the University of Pennsylvania in 1974 leading to board certification in 1977. 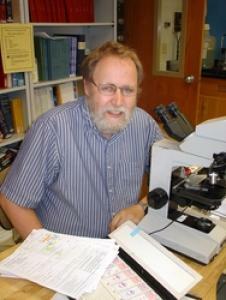 Dr Dubielzig stayed at the University of Pennsylvania as a faculty member in anatomic pathology. During his residency he first became interested in ocular pathology and he was mentored in ophthalmology by Gustavo Aquirre. In 1983 Dr Dubielzig returned to his home town of Madison Wisconsin where he was the charter faculty member of the new Pathobiological Sciences where he remains as Professor of Pathology. In 2004 Dr Dubielzig was made an honorary diplomate of the ACVO. On July 15th 2014 Dr Dubielzig retired and he is currently Emeritus Professor in his department. Dr Dubielzig founded a large mail-in ocular pathology service and has authored more than 300 original articles mostly describing the morphologic changes in the spontaneous diseases of the eye in animals. The archived collection of the Comparative Ocular Pathology Lab of Wisconsin (COPLOW) exceeds 64,000 accessions including more than 1,500 horses, and is available as a teaching or research resource. The collection of eyes from approximately 600 species is an international resource for the study of comparative ocular anatomy and evolution of the eye. Our Namesake sponsor - an-vision, Inc.